The package includes the phone, two 1800mAH batteries, a 100-240V charger, headphones, a USB Cable, and a user manual in English. For this price, the specs look pretty amazing… Of course, you can’t expect great performance from this phone, and with 256MB RAM, many apps may not run smoothly or at all. I’m not even sure if we can expect Google Play Store in that device (Play Store is there according to customer support), and as usual, there may be errors (or lies) in the specs, so you’d better ask confirmation in the store if one of the feature is important to you. Yet for $50, it could be the cheapest android 4.0 smartphone, and could be an option for a kid’s phone. 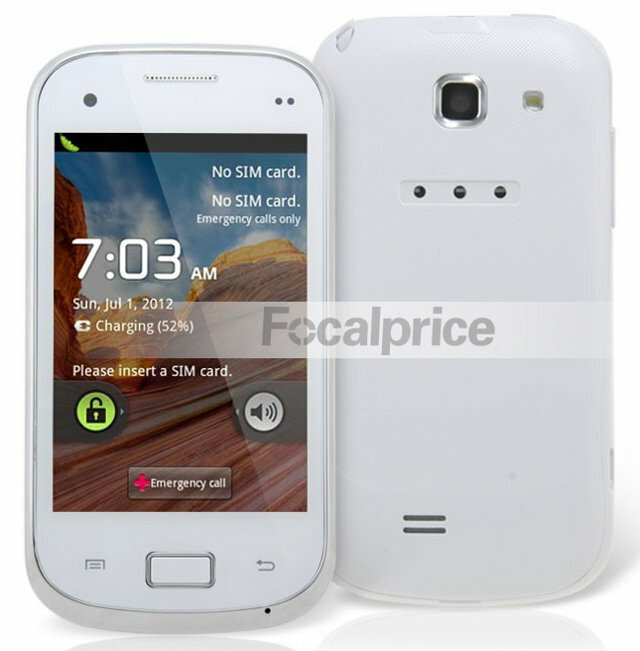 The phone is currently sold on Focalprice for $49.99 including international shipping until the 31st of December 2012.